The Asperger’s Society of Ontario is asking you to lace up your sneakers and join them on October 18, 2015 for the Scotiabank® Toronto Waterfront Marathon®! Founded in 2000, The Asperger’s Society of Ontario (ASO) is the only non-profit organization in Ontario solely devoted to serving the Asperger community. They offer direct support to individuals with Asperger Syndrome (AS), their families and caregivers, and provide information and resources related to Asperger Syndrome to the public in an effort to improve public and professional awareness and acceptance of the unique challenges, strengths and needs of individuals with AS and their families. The ASO receives NO government funding and relies solely on donations and fundraising efforts to provide the services they do free of charge to the Asperger community… and beyond! Help them to continue fostering acceptance of Asperger Syndrome and providing services and support across Ontario by registering for the Scotiabank® Toronto Waterfront Marathon®. Follow these easy steps and sign up online to raise funds as part of the Scotiabank Charity Challenge! 1. Choose The ASO As Your Charity: Click here to register as part of the ASO Fundraising Team! REMEMBER: the only races available are the Marathon, Half-Marathon or the 5k. 2. Get Ready to Start Fundraising! Once you have successfully registered, you will receive one confirmation email from Events.com, and one confirmation email from Artez. This means that your information has successfully transferred over to Artez (STWM’s fundraising platform). The email from Artez will include your username and login information. Keep this email for easy access to your fundraising profile where you can edit your fundraising goal, upload photos and videos, update your message, and send emails to family and friends. Artez Interactive is entirely free to you and to the ASO. As a result of Scotiabank’s generous sponsorship, every penny you raise goes directly to the ASO! 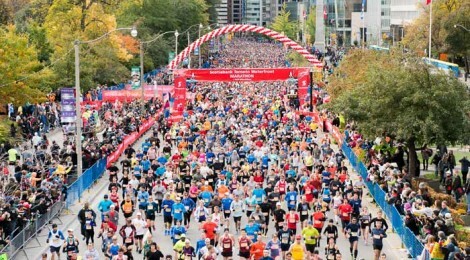 Toronto Waterfront Marathon is a registered trademark of Canada Running Series Inc.